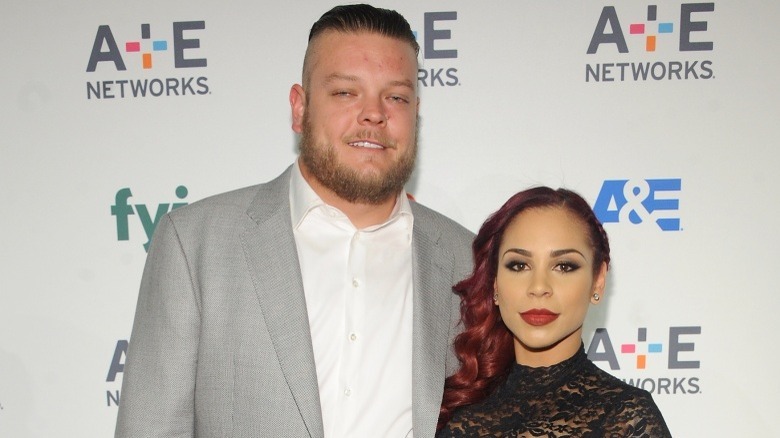 For seven years we've been enjoying Pawn Stars, the reality show about the Harrison family, their famed Gold and Silver Pawn Shop in Las Vegas, and their list of item-authenticating experts that seems to stretch into infinity. But the Gold and Silver has been around more than twice as long as the show, and this isn't even the Harrisons' first taste of TV. PBS aired a documentary about the family and the shop in 2001, and comedian Dave Attell showed up to kvetch about antique watches, a "wedding night instruction" scroll, and the pawn process during an episode of his Insomniac show in 2003. HBO even tried to snag the Harrisons, but the family fell out with the network over the pilot because it went in a seedier direction than they liked. The History Channel stepped up to the mark a few years later with a brighter vision, and now the Harrisons are pretty well off. But what were they like before the cameras came calling? 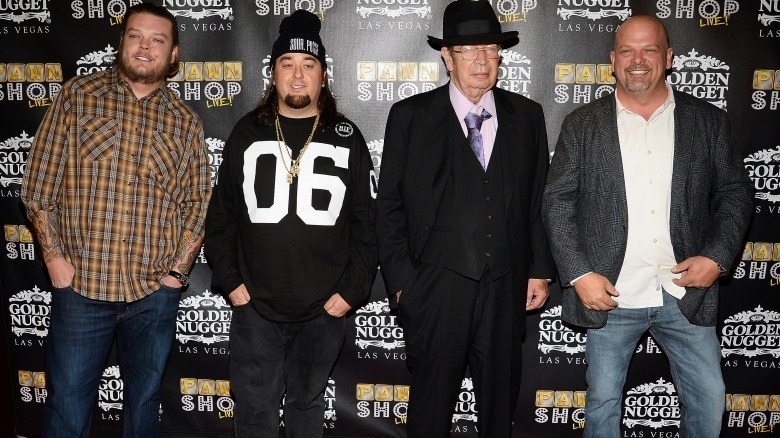 To start the story of the Pawn Stars, we have to go back a few decades to the "Old Man." Richard Benjamin Harrison was born on March 4, 1941 in Danville, Virginia, under less than ideal circumstances. As Richard's son Rick Harrison would later put it in his 2011 memoir License to Pawn: Deals, Steals, and My Life at the Gold & Silver, the Harrisons were "dirt poor white trash, left to survive on their wits." In what had to be a surreal moment for some lucky schoolchildren, the 14-year-old Richard drove a school bus to pay the bills in North Carolina, where the family moved from Virginia. In 1960, Richard's life changed in two massive ways. He married a girl named Joanne Rhue at a barn dance, and just before their nuptials, he was pinched for stealing a car. Given a choice between jail or the military, Richard signed on to the Navy, where he would serve for 20 years. When the Navy moved the Harrisons to San Diego, Joanne got a real estate license and opened an office while Richard continued to serve. Eventually, he joined her there as well, but the bottom fell out of the housing market, and the Harrisons ended up on the short end of the stick again. The Old Man decided to put his faith in the gold he sometimes traded and picked up roots one more time, heading out to Vegas in April of 1981. The Old Man's amazing story finally ended on June 25, 2018. 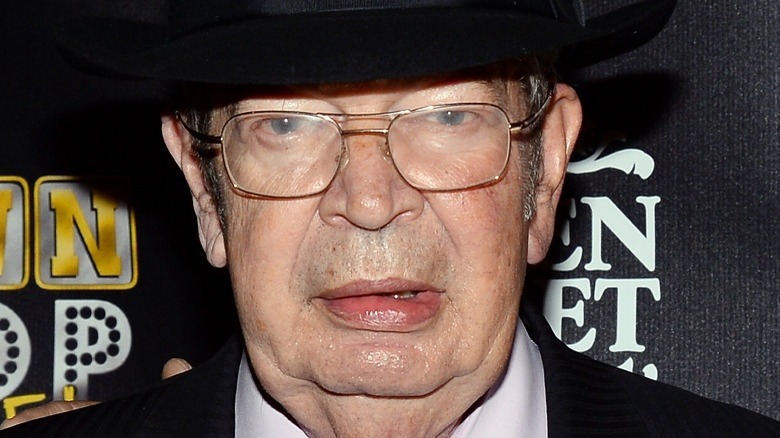 On that day, TMZ reported that Richard Harrison passed away, "surrounded by those he loved," according to his son, Rick Harrison. 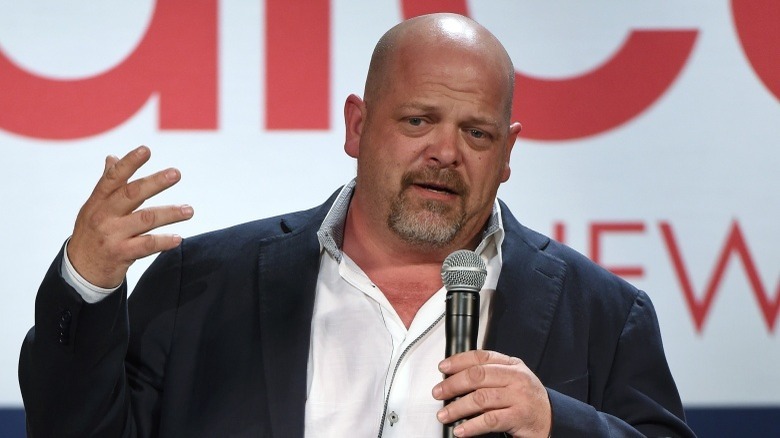 Now let's change gears to the story of the Old Man's son, the face of the Pawn Stars, Rick Harrison. Born on March 22, 1965, Rick's early life was no picnic. When he was eight, he started having vicious epileptic seizures, and treating them meant keeping him confined to his bed. With his options for entertainment seriously limited, young Rick proceeded to read seemingly every book in existence, especially John D. Fitzgerald's The Great Brain, a practice which seems to account for the vast array of knowledge he has on whatever comes to the show. His other childhood pursuits included going to swap meets with his dad—and drugs, which started with a joint in fourth grade from a babysitter. At the time of the family's move to Vegas, Rick already had a pretty good business going: selling fake Gucci bags for a couple grand apiece. He walked away from it to join the Old Man as a pawnbroker; unfortunately, a Las Vegas ordinance kept anybody from getting the licensing needed to run a pawn shop until there were a quarter of a million people living in Sin City. One year and thousands of phone calls from Rick later, the population finally hit the mark, and Gold and Silver Pawn was cleared to open its doors in April of 1988, with a starting investment of a mere $10,000. Born to Rick on April 27, 1983, when Rick was just 18, Big Hoss has the rare distinction of a childhood that took place pretty much inside the Gold and Silver shop (and somehow didn't include Star Wars). Like his dad, Corey dropped out of school in the 10th grade, but he already had job security polishing jewelry in the shop, which he would eventually turn into his current manager position—with ten percent of the business and promises of being the boss after Rick and the Old Man retire. In 2011, Corey got gastric lap-band surgery and changed his diet to stave off the possibility of diabetes, and shed close to 200 pounds as a result. The goofy "honorary member" of the family that always seems a step away from getting fired, Austin Russell was born on September 8, 1982. 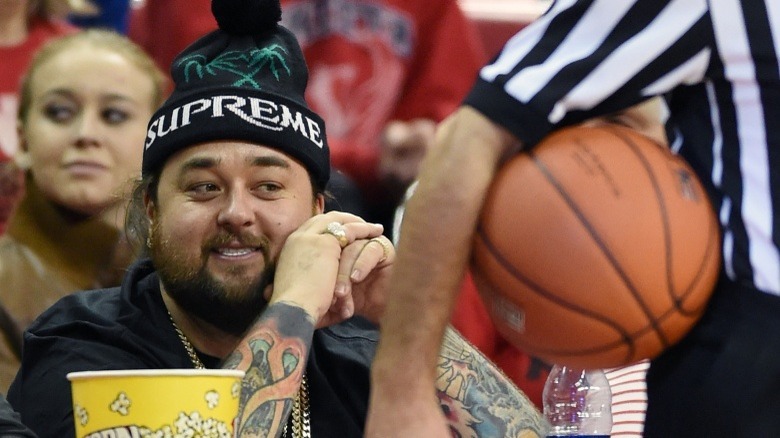 His nickname of "Chumlee" came from the cartoon Tennessee Tuxedo, "Chumley" being the walrus sidekick of the titular penguin lead. A childhood friend of Corey's, Chumlee joined the staff of the Gold and Silver when he was 21, and has been a constant presence at the shop ever since, including at the Harrison's Christmas dinner. Though the Harrisons love to make light of their friend and his semi-frequent lapses in judgment, he's widely considered the most popular member of the group, with the shop's own profile page claiming girls get nervous around him "like perhaps One Direction or the Biebs has just walked into the room." We'll take that with a grain of salt, but there's also no denying that Chum is an aid to the Harrisons, especially with his knowledge of games, pinball machines, and sneakers. By God, that man loves his sneakers.